This pattern is fully illustrated with detailed step-by-step instructions, ideal for beading beginners. No prior knowledge of the brick stitch or net weave is necessary. 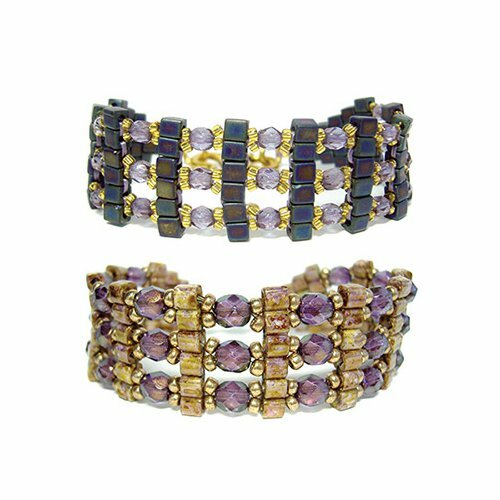 Use size 11 seed beads, 4mm cube beads and any size 4mm beads for a lighter, delicate bracelet (top bracelet) or size 8 seed beads, 4mm cube beads and any size 6mm beads for a heavier and more substantial bracelet (bottom bracelet). It is an extremely versatile pattern!